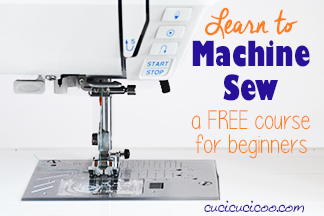 Welcome back to our Learn to Machine Sew series, a free online sewing course for beginners! If you haven’t been following the course from the start, take a look at the course syllabus so you can brush up on any techniques that you need help with. 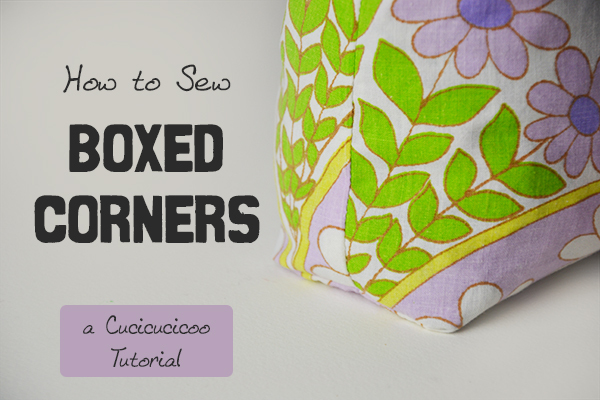 Last week we covered hemming and today we’ll talk about something that’s very useful when sewing bags or sacks: boxed corners! 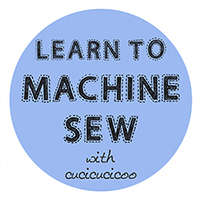 I’d actually wanted to cover other techniques before this, but the practical tutorial for this sewing lesson is something useful for Christmas, so I’m bumping it up in the syllabus. I’m sure you don’t mind, right?! What is a boxed corner? When you sew together two rectangles and stuff it in one way or another, the corners get quite pointy. 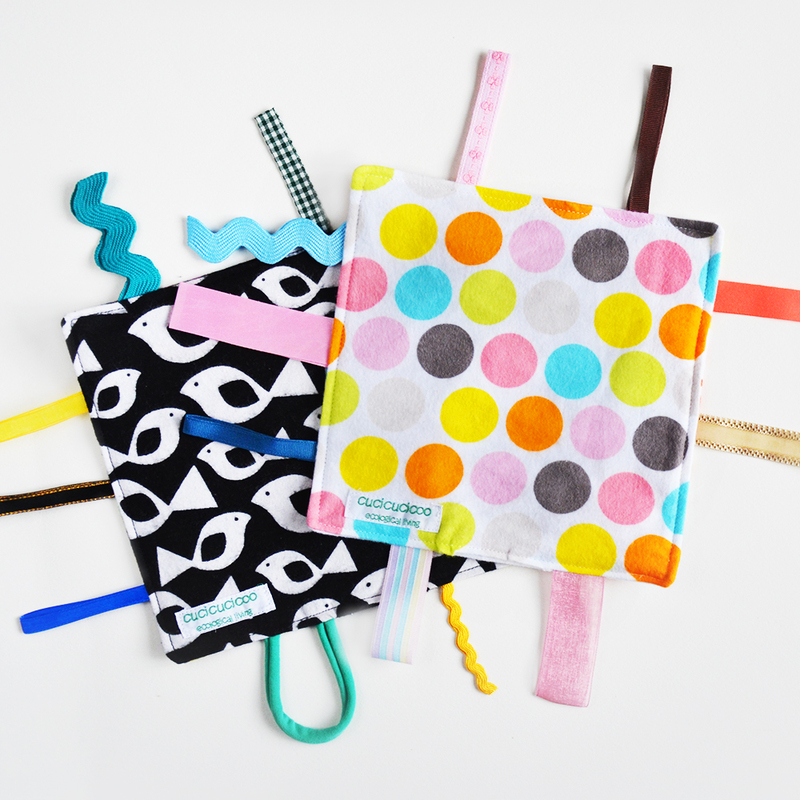 You can see this in square pillows, for example (like when we sewed envelope pillow covers last week) or in little drawstring bags (like these ones that I modified for eco-gift wrapping). 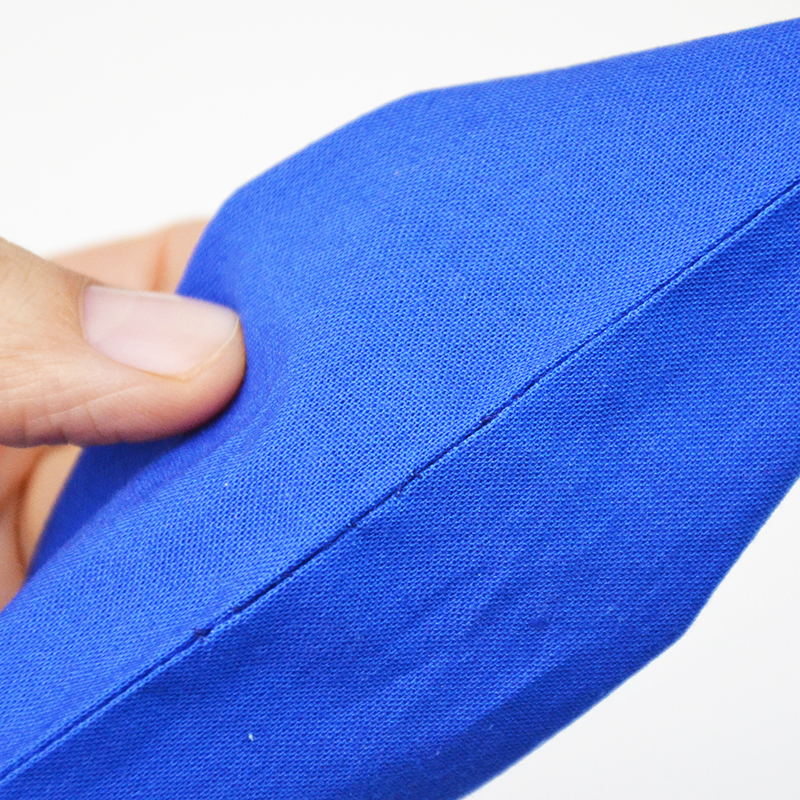 When you box the corners, they get squared off so that they are not pointy and the object becomes more three-dimensional, with a flat bottom that can stand up. There are actually two different ways to do this technique, but the end result is exactly the same. 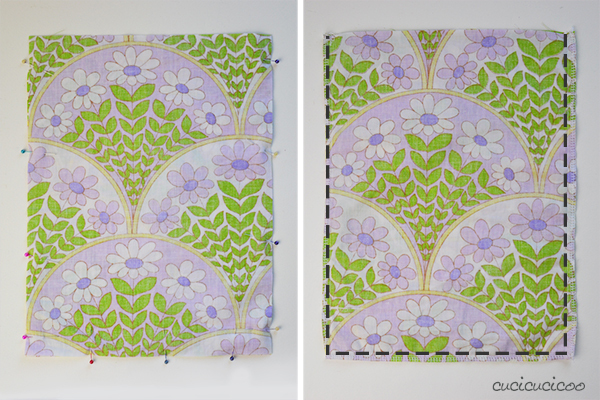 I will cover both of them today, so read on if you want to learn how to sew boxed corners! That’s just a name that I made up, but it seems pretty spot on as far as I’m concerned. 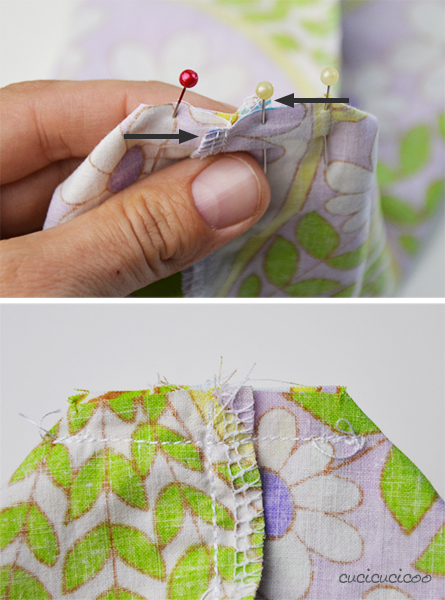 This method is often used in sewing patterns. 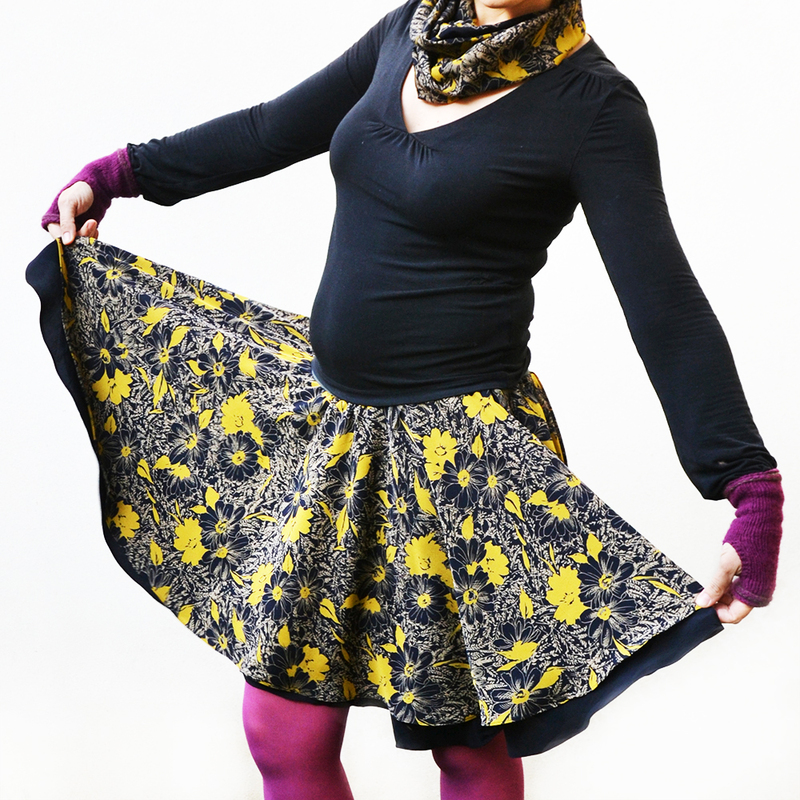 Normally in the Learn to Machine Sew lessons I say to use scrap fabric. Feel free to use whatever fabric cut in whatever rectangular size to practice, but I suggest using a fabric that you like cut in vertical rectangles roughly 25 x 30 cm (10 x 12″) because when we come around to this lesson’s practical tutorial later on this week, you can use your practice pieces for something you can use at Christmas! Iron your fabric, then cut two pieces the same size, making sure that the directional print is going in the right direction, if applicable. Then cut a little square from each bottom corner. 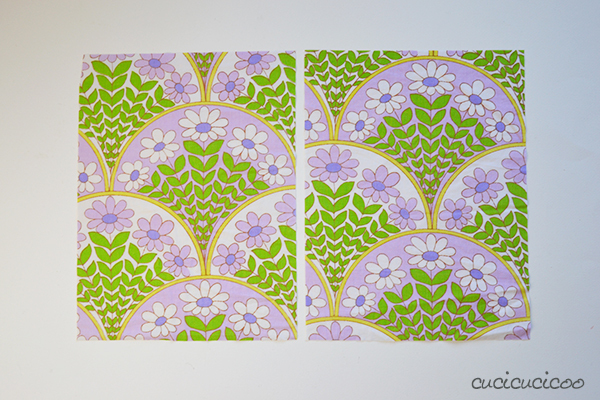 I cut out 3 cm squares, but feel free to experiment with different sizes to see the outcome of each. Consider that 1 cm is lost in the seam allowance, and the remainder will then be doubled, so, in our case, 4 cm. This is how wide your flat bottom will be. 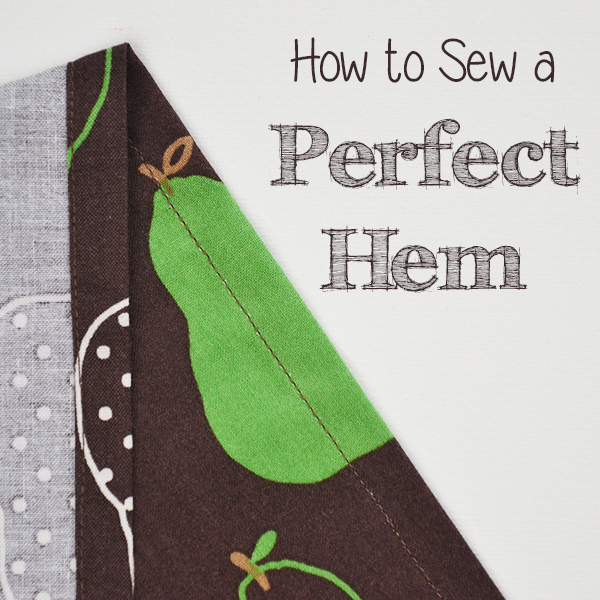 Pin the two pieces together, right sides facing and sew down the two sides and the bottom as shown with a 1 cm (3/8″) seam allowance. (I use this seam allowance throughout the whole tutorial.) 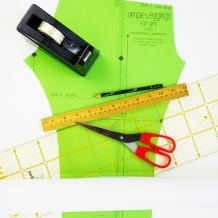 Do not sew along the cut-out square edges! 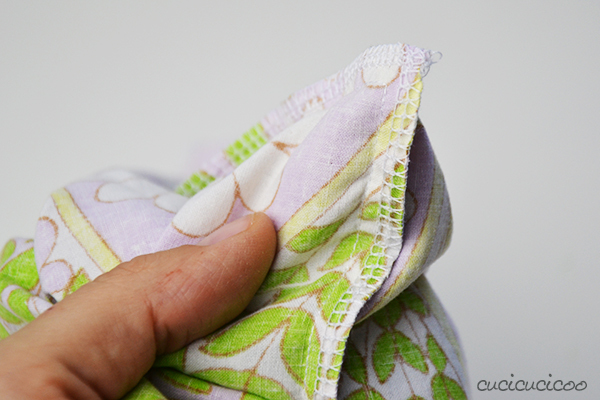 If you are using woven fabric that frays and you plan on washing, you’ll want to finish off the edges with a zig-zag stitch, pass the fabric through an overlock machine (what I did) or trim the sewn edges with pinking scissors. 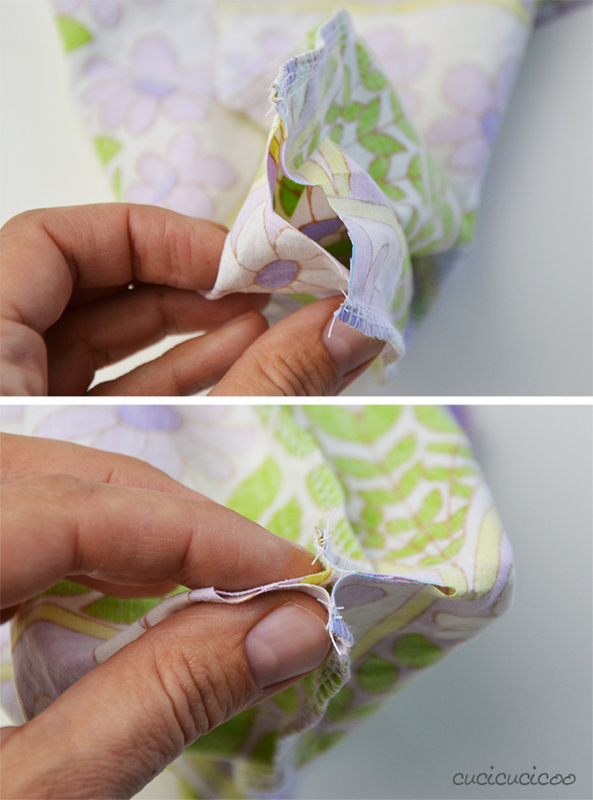 If your fabric doesn’t fray, don’t worry about it. Open up one cut corner (photo on top), then flatten it again, but this time aligning the seams you’ve just sewn, so the bottom seam with one side seam (photo on bottom). 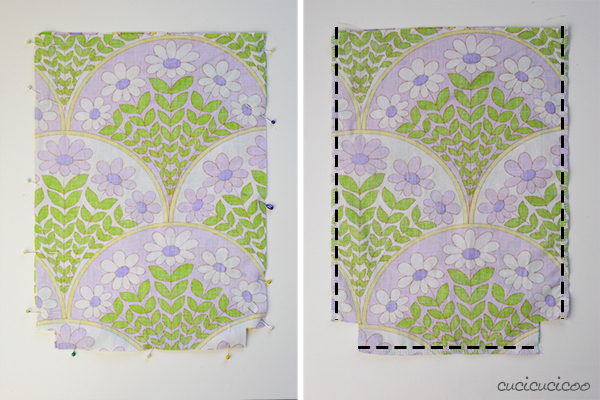 Like magic, the unsewn cut square edges will become a straight flat edge! 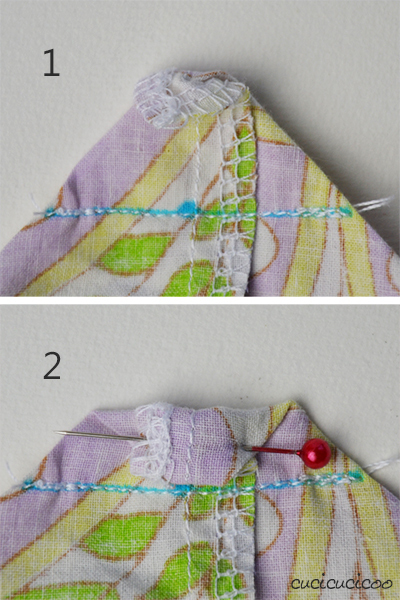 Pin the two layers when you’re sure that the seams are perfectly aligned. 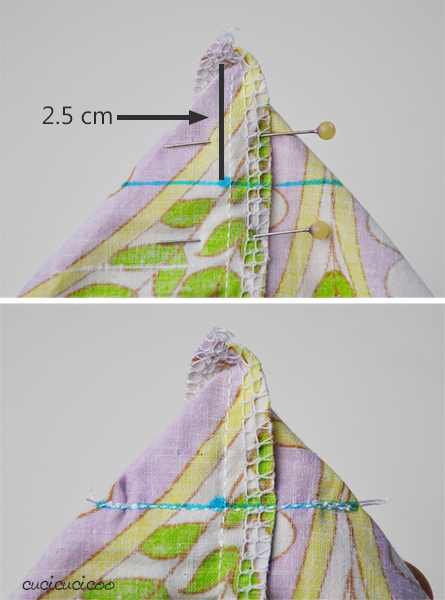 If you have finished off the fabric edges, as I have, flatten each seam allowance to a different side (as shown by the arrows in the top photo). This makes it easier to align the seams and creates less bulk in one spot. 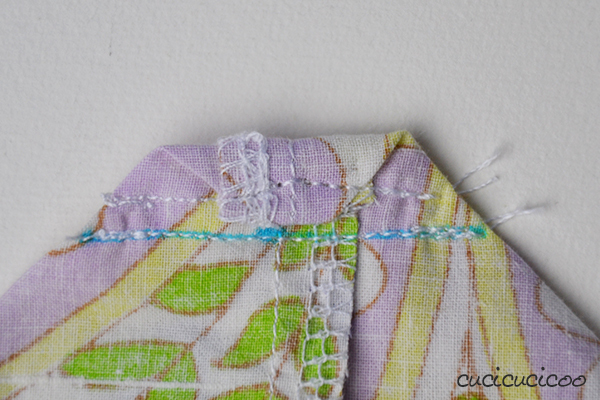 If you haven’t finished off the fabric edges, open up the seams flat when pinning. 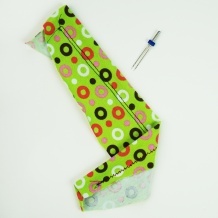 Then sew along this newly-created straight edge, as always with a 1 cm (3/8″) seam allowance. Finish off the fabric edge of this second seam if desired (I did it after taking this picture), then do the same with the other bottom corner. 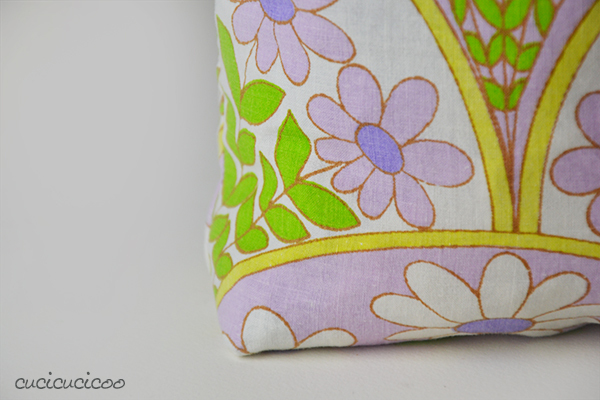 Turn your piece right side out and admire your boxed corners! They look like a cross if you aligned the first seams perfectly. Nice job! Now try out the second method. Again, I totally made up that name. This second method is the one I usually use, but that’s just my personal preference. 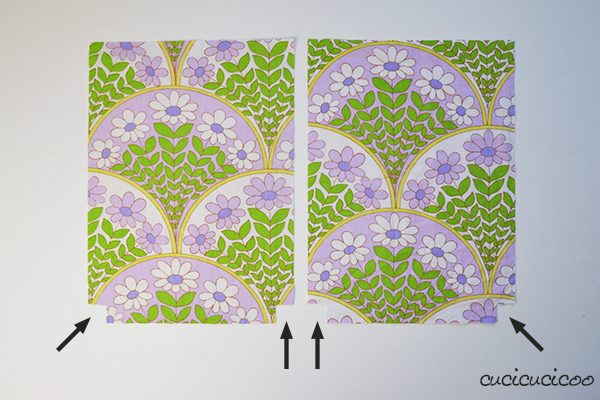 Cut out another two rectangles with the same size and orientation as we did before (about 25 x 30 cm [10 x 12″]). Pin them together, right sides facing, and sew along three sides as shown. 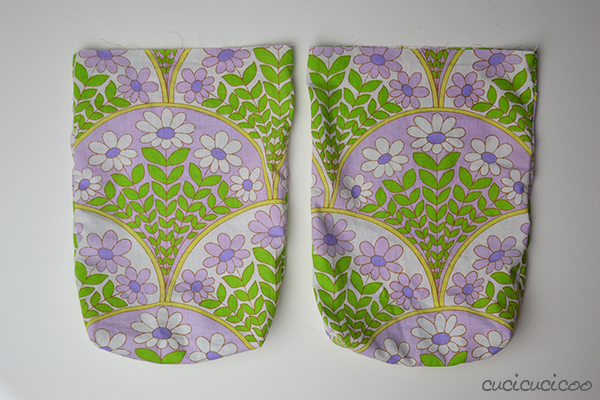 Again, decide whether or not to finish off the fabric edges. Open up the bag and stick your finger inside the corner, separating the two layers of fabric from the inside. Flatten out the corner like we did with method #1, aligning the two seams in the center of the triangle shape (top photo). When you’re sure that the seams are perfectly lined up one on top of the other, pin the layers together. Again, if you’ve finished off the fabric edges, flatten one seam allowance to each side to be able to better line up the seams and to reduce bulk. If you haven’t finished off the fabric edges, open up the seams. It can sometimes be tricky to see if the seams are perfectly lined up in this method, so I often hold the corner up to the window so I can see through the fabric. On the top photo you can see that the seams are lined up (before flattening the back seam allowance to the other side), while in the bottom photo they are not lined up. After you’ve pinned the fabric (and ironed it if it doesn’t want to stay flat), measure about 2.5 cm down the seam from the top corner. 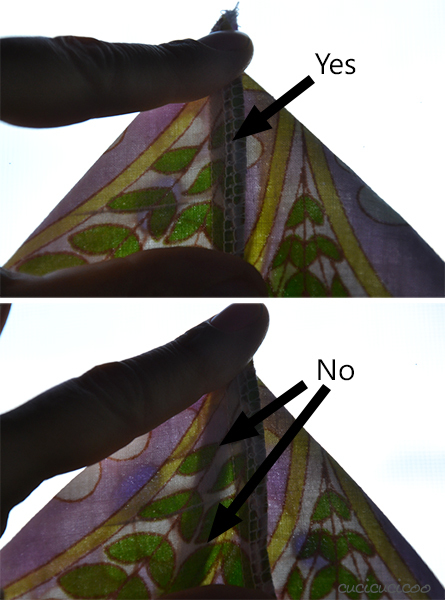 Then draw a line across perpendicular to that seam (top photo). Then sew directly on that line. This isn’t an exact science (well, I guess it could be, but I’m certainly not going to try to figure it out), but the line across will be slightly longer than the amount you measured down the first seam. 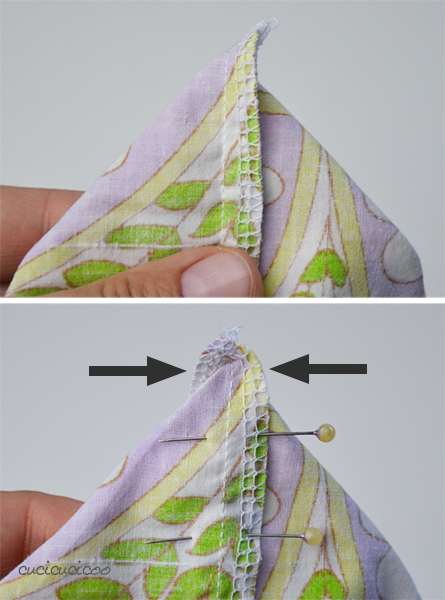 You can just leave the fabric like that without trimming off the excess fabric, but if that little extra triangle bothers you, you can just cut it off and finish off the fabric edge if it’s a fraying fabric, which is what I usually do. Another option is to 1) fold the tip of the triangle down a tiny bit (about 1 cm here), 2) fold it over again about 1 cm and pin in place. Then just sew another line across to hold the fold in place. The center of the fold will be quite bulky, so often the stitching gets all wonky there, but it’s not the end of the world because nobody’s really going to see it. …but if you put something in it, you’ll see how nicely the bag can stand up and how much better you can fit things in it! Remember– don’t throw away these practice pieces because you can use them in the upcoming tutorial using this technique! 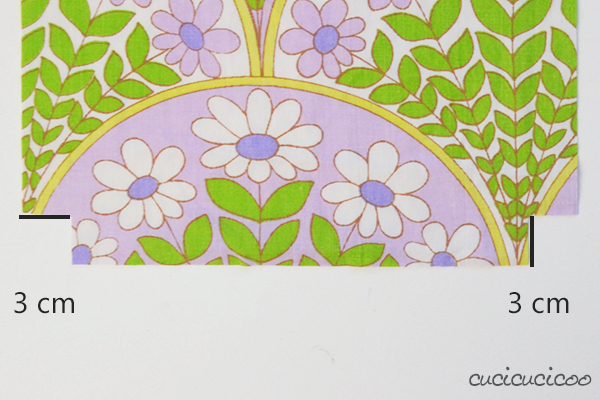 I’ll give you a hint: it’s something that makes gift-giving prettier and easier! I’ll bet you can guess what it is… so make sure you come back in a couple of days for the tutorial! 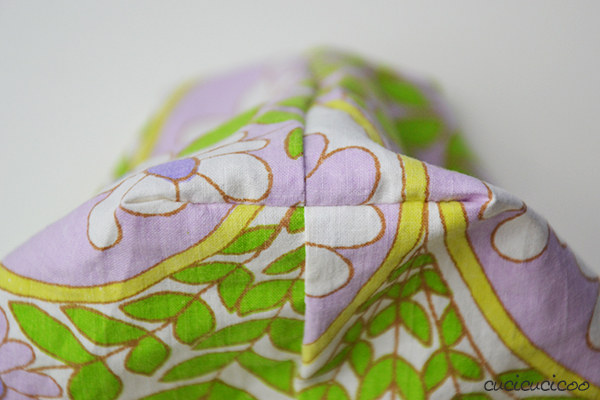 Did you enjoy this lesson on how to sew boxed corners? 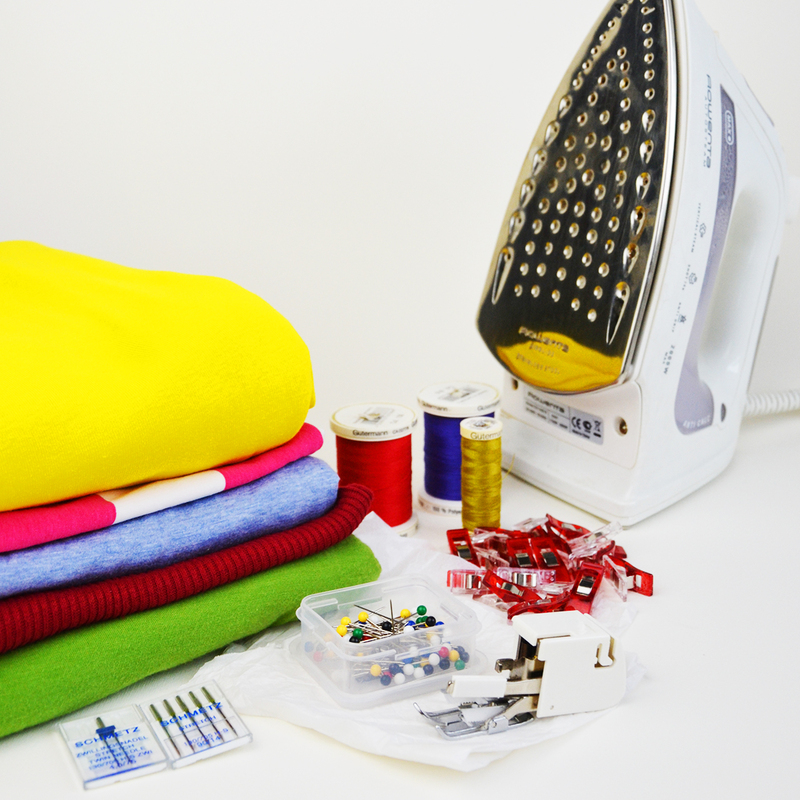 Then take a look at the other lessons in this beginner’s sewing course! Chiarissima anche questa lezione. E devo dire che conoscevo ed ho già usato il secondo metodo, ma il primo no, e mi sembra più pratico. 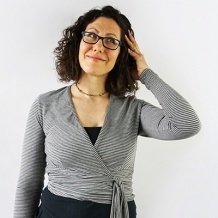 Proverò. 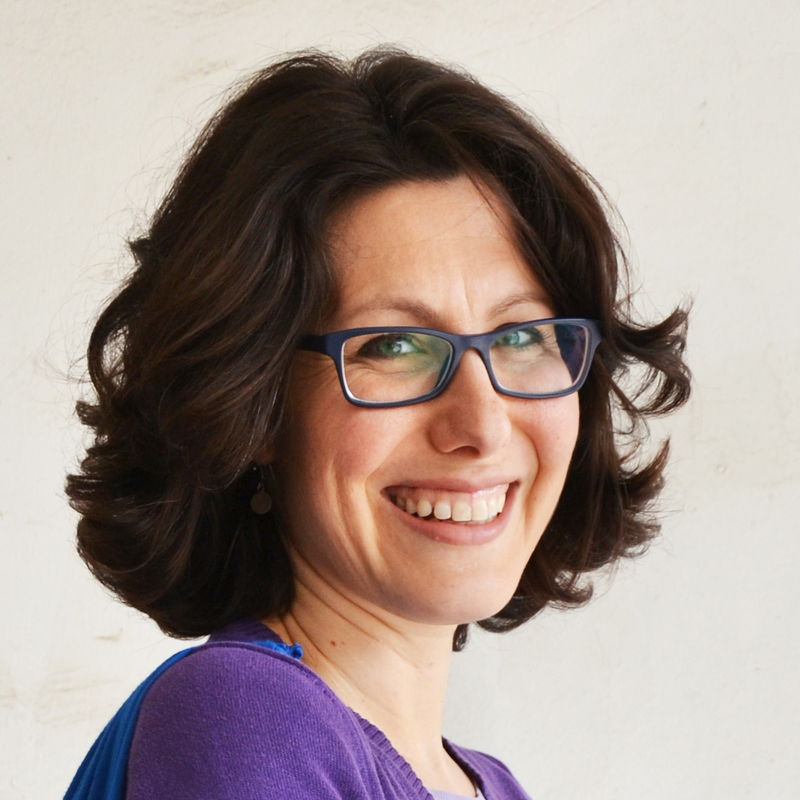 Grazie e alla prossima. Il secondo lo conoscevo e l’ho già usato il primo mi mancava!! Grazie mille per i tuoi consigli!! Anch’io ho imparato il primo modo relativamente recentemente, ma è molto comodo. Ti consiglio di provarci! Proverò sicuramente, poi ti dirò come è andata!! Grazie!!!! Grazie per queste perle di tutorial che per me sono utilissime! Proverò sicuramente anche questo!!!!! Io proverò stasera col primo metodo! Ho una domanda però: se voglio che il mio diventi un astuccio, è meglio che la zip la cucia prima di fare il fondo rettangolare, vero? 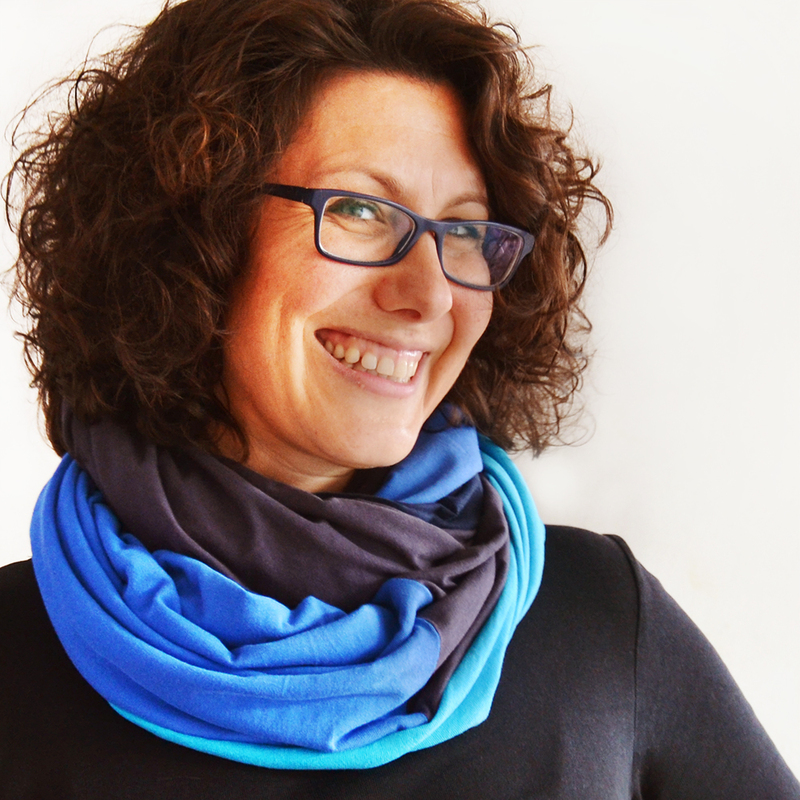 Sì, Sara, meglio mettere prima la zip, anche prima di cucire i lati!